Martyn Hilbert's Railway Photography - Last additions - EPS 37601 - Folkestone Harbour. EPS 37601 - Folkestone Harbour. 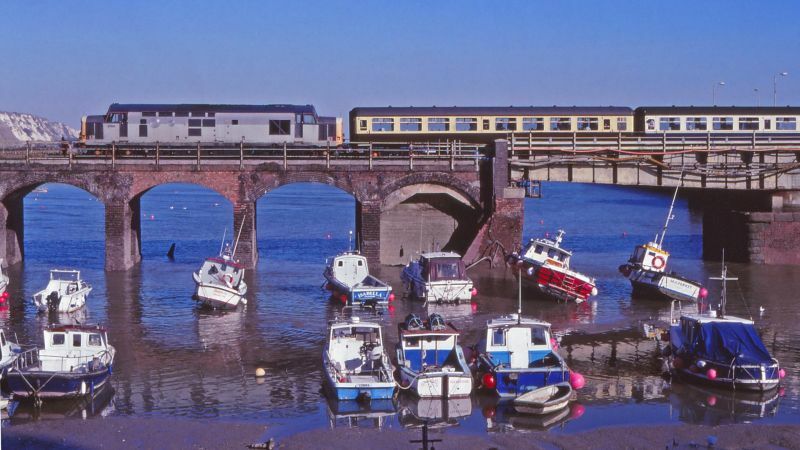 As the tide begins to come in, 37601 sits on the viaduct at Folkestone Harbour with the Pathfinder Tours 'Atomic Harbourmaster' railtour on October 20th 2007. Out of sight at the other end of the train was fellow EPS class 37, 37603. This was one of the last diesel hauled trains to traverse this line. The itinerary on that day included a trip along the Dungeness Branch. It was a long day - an 06.15 start from Crewe on Saturday morning and only getting back to Crewe at 01.24 on Sunday morning!